Have you ever walked into a café in the morning and felt staggered at just how many people were ordering coffee all at once? Imagine how it feels to be the barista serving them all. What does it feel like to have a queue out the door, to be nearly one hundred orders up, and to have maybe ten minutes to make those drinks in? Our cities run on coffee because, between 7 to 10 am, those venues dish out such an incredible amount of coffee. On the wrong day, well, it’s hard. Manic doesn’t even cover it. But on the right day, it’s more fun than Disneyland for your 5th birthday. If you’ve ever felt you weren’t so good at math in school, being a barista at a high volume café will change that really quickly. 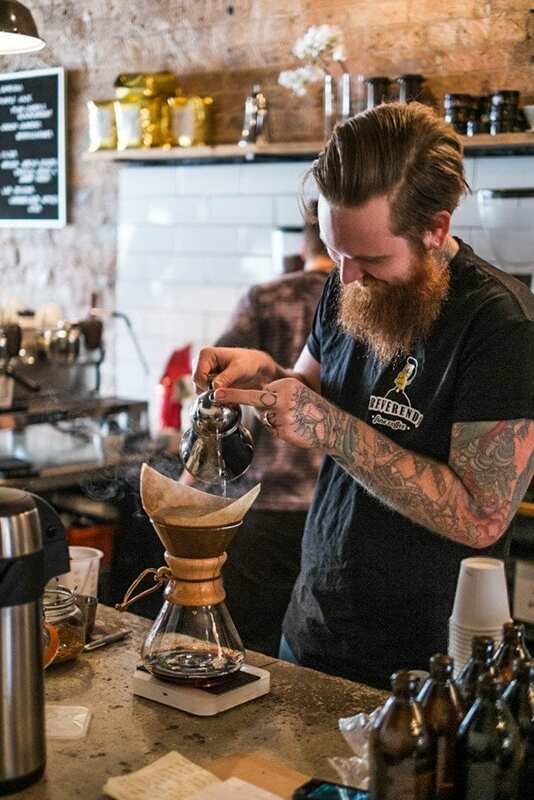 Working as a barista means more than just making coffee. 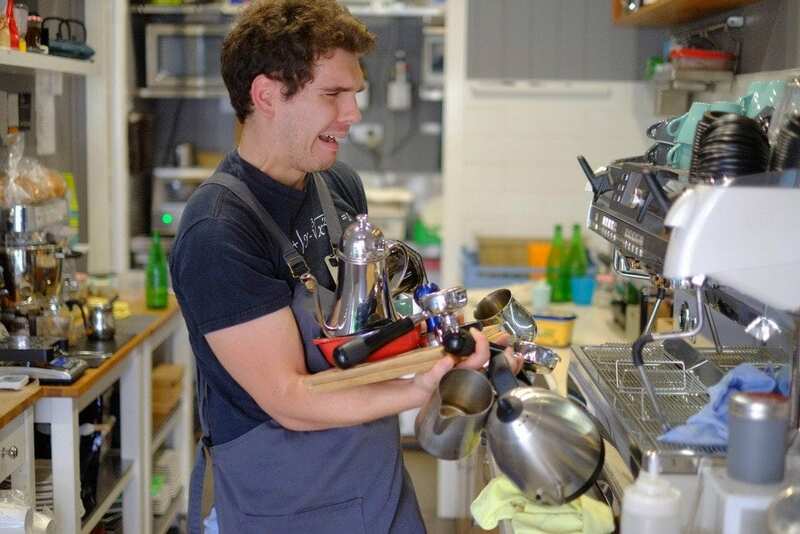 Busy cafés need several baristas to rotate through so everyone gets days off and a chance to rest their wounded hands (more on that later), plus there’s also only so much room on the machine, so when you aren’t pulling shots or steaming milk, you’ll be front and centre on the till. Yes, on the till. You’ll deal with hundreds of transactions every single hour. Oh, and these transactions will change with every modification (and there will be modifications, I promise you). You either learn fast or you go back to washing dishes. See all of these codes? They’re called PLU or, Price Look Up codes. 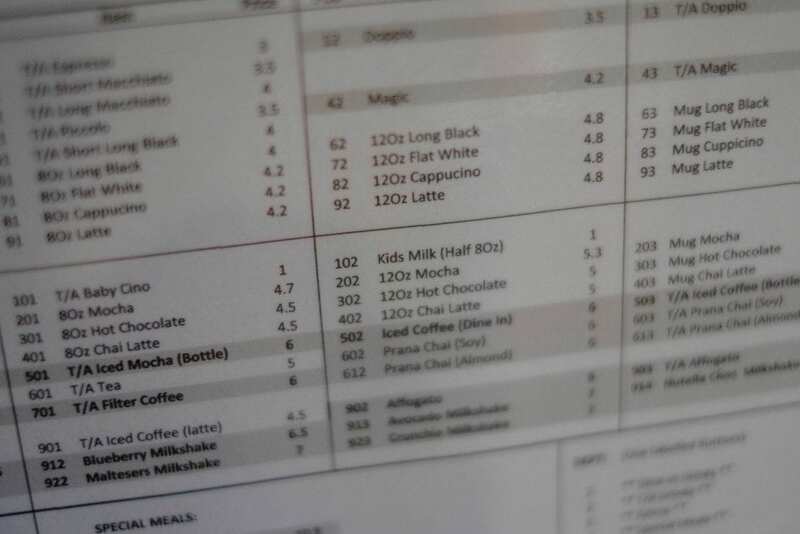 Though some cafés have moved away from these systems, many still rely on them. But what if someone wants to modify an order? Well, you might just find yourself punching in 5 or 6 codes. It’s actually easier to add it all up in your head, enter the price and press the cash button. Think you can’t do maths? Well, you had better start doing it! Caffeine does strange things to people. Drink too much of it and you can get the shakes, start getting snappy with people, and hit the toilet sooner than you might have planned. But you’re not drinking it; you’re making it. 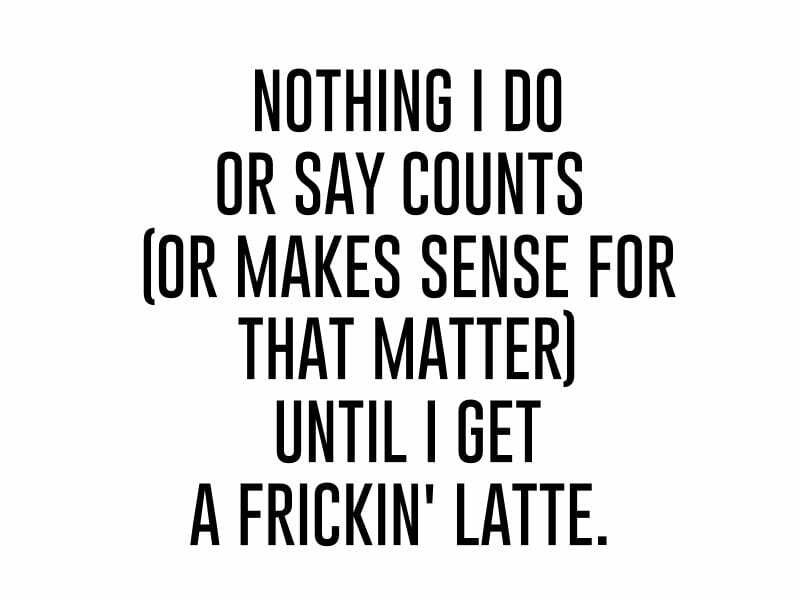 And as a barista pumping out hundreds of coffees a day, there are a few other things that’ll likely happen. The first thing you need to understand is that caffeine dehydrates. Experience prolonged contact with it and your hands will become scaly, very dry, develop some gnarly calluses, and – in very high volume situations (15-20kg +/day) – they may even bleed. Yeah, I’m serious. Then there’s the nail biting. It’s not surprising, but baristas drink a LOT of coffee. Sometimes we forget not to drink every coffee we make when dialing in (setting the grind so the coffee tastes its best) and that can mean we drink anywhere from one to ten espressos before we even open the doors. And then there’s the inevitable filter tastes just to make sure you’ve brewed them properly. All in all, it can really put you on edge. Dry hands are the price of being awesome. Much like chefs, baristas will experience calluses but, unlike chefs, they work exclusively with a product that dehydrates. It can get messy and at times a little painful. To many people, it looks like you’re just behind a machine doing one particular thing: steaming milk, dosing coffee, etc. And there are times when this is true. Then there are other times when you look at the 30 seconds window between starting and finishing an extraction as an opportunity to complete multiple tasks. In the time it takes for that shot to finish, you can serve several customers, fill the milk jugs required for their orders, place one to steam, reload the hopper on a grinder that’s almost empty, turn on the kettle required to heat up water for a filter order and dose it out – all before getting back to that milk jug, turning off the steam valve, and pouring off into that just finished espresso. Now repeat that non-stop for an hour and you’ve got an idea of what’s expected. It’s not quite The Walking Dead in a café, but mornings don’t suit many people – and this is only truer when they haven’t had their morning coffee yet. This isn’t to say people are rude, of course – just not quite awake. You’ll have seen memes like this one floating around the internet. The classic is “you don’t want to see me before I get my coffee”. That’s accurate, especially if you’re a barista, but the catch is that we will ALWAYS see you before you get your coffee. Working in a super-busy cafe is definitely hard work – even without the scaly hands and the maths. You will feel exhausted some days after closing, but you will have had more fun at work than would ever be possible in most jobs out there. You’ll see the best and worst of your fellow baristas as you work like demons to make everyone’s morning that much better. For all that stress, though, you’ll be dancing around each other in a caffeinated ballet of coffee beans, milk, and endless free espressos. Some of the friends I’ve made working in cafés are the most loyal and have taught me a great deal about coffee and life in general. Colleagues become fast friends (pun intended) in coffee, especially when you pump out several thousand a week. You tease each other, often mercilessly, just to get through it. Jason and I work together and he lets me take photos of him but on his own terms. Look closer and you’ll work out what I mean. 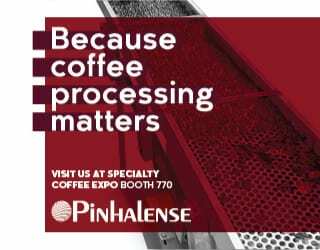 Most of all, your passion for coffee will grow as you connect with the roasters and even the farmers that produce the coffee. How? It’s as simple as talking to your roaster, asking to visit the roastery, and making the time to follow through. That new coffee you just dialled in? Google the estate that it comes from and see if they have a Facebook page or instagram. Trust us, they want to hear from you! You might even get an invite to stay with them. Some people think of baristas as a step up from servers in McDonalds. Others think of baristas as coffee gods and goddesses, possessors of caffeine secrets that mere mortals could only dream of knowing… And while we may like the second description, the truth is that there is no other experience that come close to being a high-volume barista. It’s painful, it’s stressful, it’s incredibly fun – and it’s something that we wouldn’t swap for the world.